is second to none "
Find out if we’re the right fit for you. Our friendly team can help – whether you’re considering a change of accountant, or you’re a new start up business, you can count on us. Worried about your Tax Return, VAT, PAYE,CIS or just your day to day bookkeeping? Give us a call – we have right solutions to help you. We offer a highly professional, partner led service, individually tailored to meet your needs, suit your budget and the way you prefer to work. 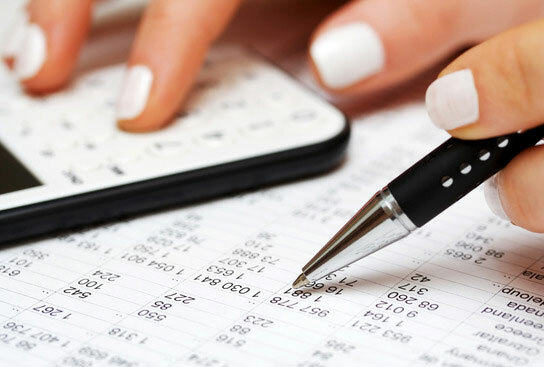 Get the latest updates from Gillespie Accountants Ltd. If you feel out of your depth, experienced qualified accountants like us can make compliance simple. You won’t need to worry about dealing directly with HM Revenue & Customs, and you can be assured that all your accounting deadlines will be met. It’s our business to look after your business, so get in touch today for a free consultation and you can find out if we’re the right fit for you. If you need a new accountant, come and talk to us. We have a friendly and professional team and we specialise in working with local people and owner managed businesses, charities, clubs and societies. We understand the importance of a personalised service so we’ll make sure you receive the attention you and your business deserves. We believe it is vitally important to communicate effectively and honestly. That way, together we can build a strong working relationship and we’re always available to chat in person or by phone or email. There’s a lot to learn when you start a new business. You’ll need to know how to prepare your accounts, how to register for VAT (and whether or not you need to), and how to handle processes like PAYE. We can help you get on top of it all and make sure you meet all the regulatory requirements. This practice has been providing accountancy services in Belfast for almost 30 years, so you know you’re in safe hands. Dealing with taxes can be very stressful, so let us help you – we can make sure you’re complying with HMRC regulations and that you’re not paying more tax than you should. There’s no need to sit in the dark feeling overwhelmed when together we can deal with the burden of Tax – we can helpfree up your time so you can concentrate on the things you do best.